Flavor: delicate but long lasting with a lot of mineral richness. As you can see, the possibilities and resulting flavors of mao cha are almost endless. All of these variables result in a staggering choice of available mao cha for Pu-erh producers to work with. Bing Dao Village is located at the farthest north regions of Pu-erh tea production in Yunnan. The weather there stays relatively cool due to the high elevation of this village at roughly 6,000 feet. This tea comes from a tea garden where the tea trees grow naturally (sheng tai) – no pesticides are used. The tea trees are over 100 years old and produce good quality leaves. Because Bing Dao Village is in a relatively isolated location, the mao cha ( raw materials ) for making Pu-erh are not in high demand as raw materials are in the more famous tea producing areas of Yunnan. So, most of these raw materials are pressed by the village without being blended with other teas from other areas. 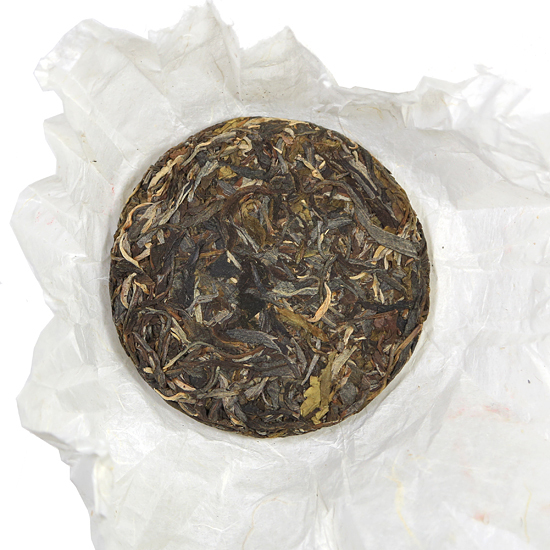 This means that the taste and style of this Pu-erh is true to the place of origin (terroir). This is a delicious beeng cha that has a delicate flavor. There is a slight bitterness to the taste on first sip that changes to a mellow sweetness by the 3rd infusion. 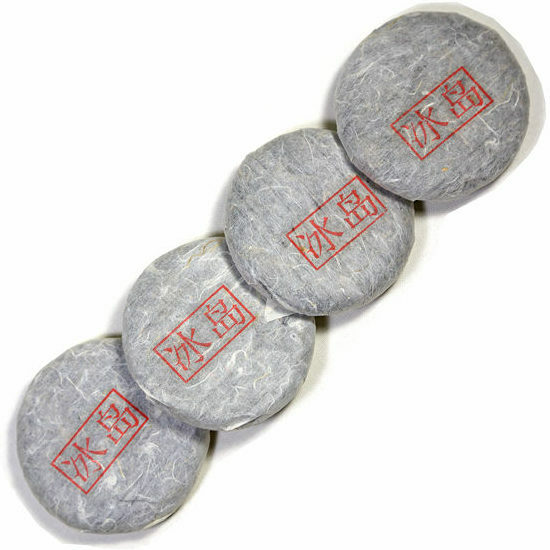 The taste is long lasting and the tea liquor has a lot of chewy, mineral richness. The aroma of the dried cake is sweet and clean.